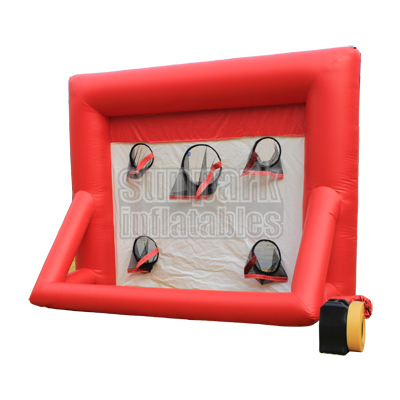 Our Football Game Inflatable Soccer Goal is great fun for children and adults at all events and fun days! A game of football skill and accuracy. Kick the football into the goals aiming for the target holes in the back of the net…beat the goalie and see how many points or target shots you can score, or even add your own scoring system. The shootout is an ideal way of raising money at all kinds of events such as fun days, community groups, church groups, schools, private parties and corporate hire.